For most international students, Sweden immediately feels like home. According to the EF English Proficiency Index, Swedes’ knowledge of English is within the top three countries worldwide. Making yourself understood in English and communicating with locals is, therefore, no problem at all. Nonetheless, Swedes really appreciate if you try to speak their language, and it helps when getting to know your Swedish Homestay hosts and friends. Moreover, Swedish grammar and pronunciation are not too difficult, making learning Swedish really fun, too! 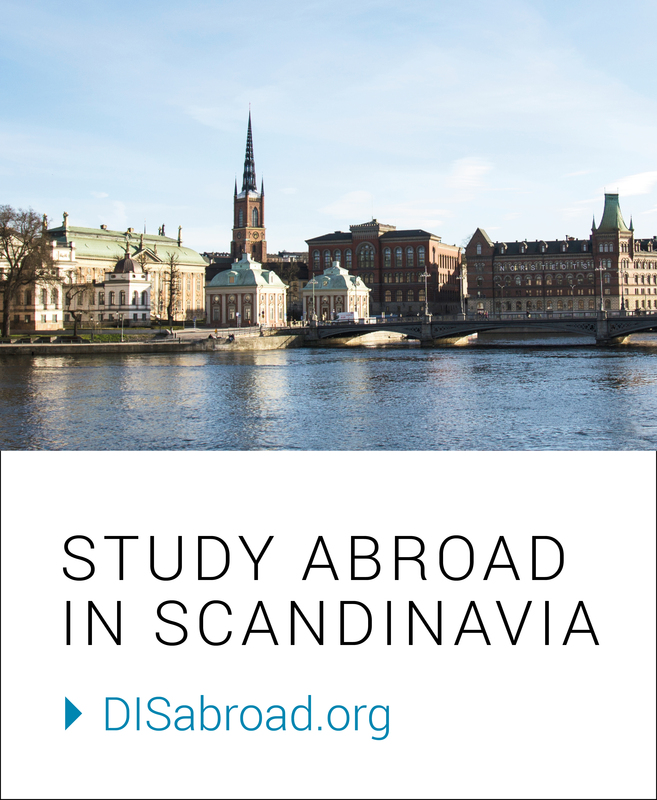 DIS offers Swedish Language and Culture courses that you can enroll in, but to give you a jump start, here are five words to learn before you move to Sweden! Hej means exactly what you think it does – it is a way of saying “hello.” Whereas in English, the use of “hey” might be inappropriate in more formal situations, the Swedish hej can be applied to all types of encounters: formal and informal, old and young, best friends, and strangers. Tack means “thank you.” Swedes literally use this word all the time and it is one of the first words you will pick up. Tack’ is easy to pronounce and also one of the few words that you could never overuse. Lagom means ‘sufficient’ or ‘just right,’ and can be used in numerous situations. For instance, if someone asks you how much coffee you would like, you could say that you would like to have “lagom mycket kaffe,” which translates to “just the right amount of coffee.” Furthermore, lagom is a cornerstone of Swedish culture, which rejects excessiveness and instead praises moderation, togetherness, and equality. Fika means something along the lines of ‘having a coffee moment,’ and can be used both as a noun and a verb. Similarly to lagom, going for a fika is a central part of Swedish culture, especially during the autumn and winter months. The perfect remedy for the season’s cold and darkness, drinking a cup of coffee with some pastries is just really cozy! In Stockholm, there are a lot of good places to go for a ‘fika. Once you get the hang of it, you will fika your way across town! Tunnelbana, sometimes abbreviated as T-bana, literally means “tunnel rail.” Can you guess what it is? Yes – it is the name of Stockholm’s metro! In town, you can recognize metro stations from a distance by spotting a blue T. Are you having trouble finding one, you can just ask locals for the Tunnelbana and they are likely to direct you to a station in close proximity. As Stockholm’s Tunnelbana is very extensive and the perfect way to travel through town, knowing this word is an absolute must!